Instagram Stories is one of the latest features implemented by the social media platform. Instagram Stories is one of the latest features implemented by the social media platform. The Facebook-owned company is incorporating its desire to collect more data for advertisers to use through using this new feature. It’s gaining in popularity and tapping into the vast 150 million users that use the platform on a regular basis. 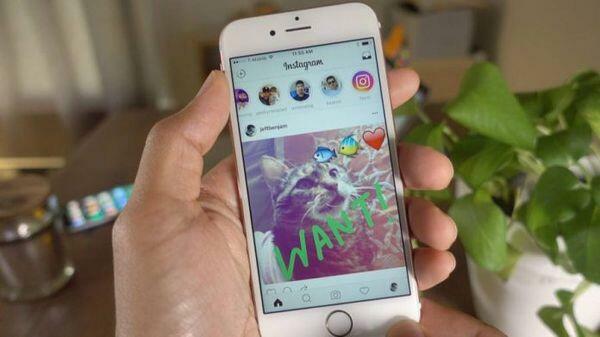 From the point of view of advertisers, Instagram Stories has the potential to become a big data goldmine. How Big is Instagram Stories Getting? For big data to work there must be as many users as possible. Just one month ago Instagram Stories had just 100 million users. There has been a 50% growth rate for this feature in a matter of weeks. Instagram Stories ads are already proving a hit with advertisers like Netflix and General Motors. These ads are full-screen and they appear between stories when the user flicks through them. Companies using these ads will be able to track the reactions of users as they go through their friends’ Instagram Stories. And that’s ignoring the potential of the increasing number of users launching the app on a regular basis. The key to this feature is that it’s expanding Instagram’s functionality. There are two types of ads that can be used together with Instagram Stories. They can be displayed either through photos or videos and they’ll get a special ‘Sponsored’ tag. Advertisers have the potential to take advantage of two different types of advertising. But why can ads these ads be valuable for gathering data? There are three options when users view these ads. They can skip them, ignore them, and tap on them. Advertisers can therefore easily work out whether an ad is working or not, based on the specific audience they’re targeting. This allows a level of targeting and a level of feedback ordinarily only found with the Facebook Power Editor. It will take work for advertisers to gather data, but through trial and error this is a relatively simple process. Crucially, Instagram represents a completely new audience. Many Instagram users don’t use Facebook, so advertisers can access new audiences. Instagram Stories can be used to discover whether a target market enjoys a certain product and how they’re going to react to specific types of ad. This new audience is also incredibly responsive. Instagram has revealed that 20% of all Instagram stories lead to a direct message. The level of interaction is like nothing found anywhere else. And it’s attracted companies already because 30% of all Instagram Stories are generated by businesses. So, is Instagram a Gold Mine for Data? The levels of control businesses have when it comes to tracking user interactions make this a vital avenue to explore. The sheer level of interaction eclipses the ads on every other social media platform, and offers a superior way to gain exposure than simply buying Instagram views. It may lack the advanced targeting that the Facebook Power Editor has, but there’s no doubt Facebook will remedy that soon on Instagram. What are your theories on Instagram Stories?